It will be available in six colors: Jet Black, Mocha Gray, Wild Orange, Oatmeal Beige, Rose Gold, and Lime Green. Update (Monday Sep 2): VentureBeat has revealed the first official images of the device. Also confirming the following: It will have pre-loaded android apps, integration with a Galaxy or Android device, easy to use swipe function to access apps, power button on the side and social media integration.The device will also be supported by VPN software if you use it in conjunction with WiFi over a VPN router. 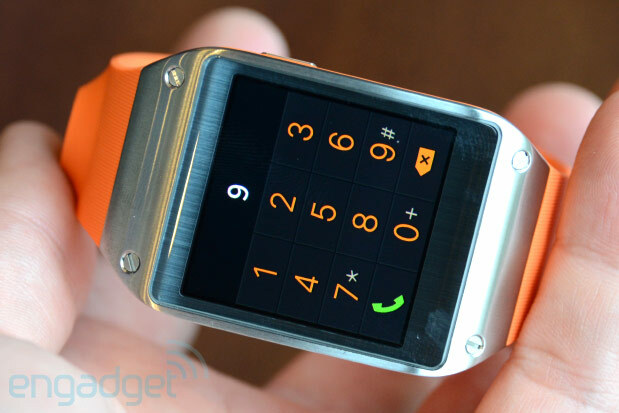 Still don’t see where the smartwatches can be innovatives if they requires a smartphone!? Is there any scope that this device works with non-samsung devices like nexus 4? as of now we don’t know a release date or price, you can expect these details on September 4, the best way to keep up to date with these things is by subscribing to our newsletter, Stay tuned!